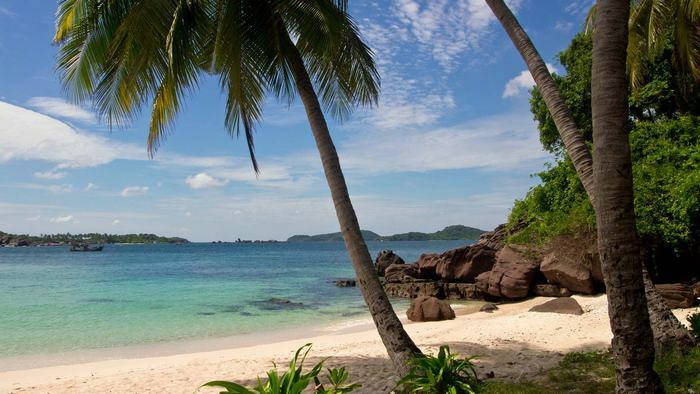 Phu Quoc is known as a tourist paradise in Vietnam with the beautiful scenery and warm weather all year round. When you see many people ask that how to get to Phu Quoc from Saigon as well as how many kilometers to get the tropical island from Saigon, we are pleased to show the useful experience gained from the reality to share. Hopefully, you will not have any problems traveling. The peak tourist season in Phu Quoc is from April to September. However, the dry season from October to March next year is the most beautiful time on this beautiful island. In general, you can travel to Phu Quoc at any time of the year because the annual average temperature is only about 28 degree Celsius. Remember to check the weather forecasts to avoid the rainy days. This is the shortest and fastest option to travel to Phu Quoc from Ho Chi Minh city. 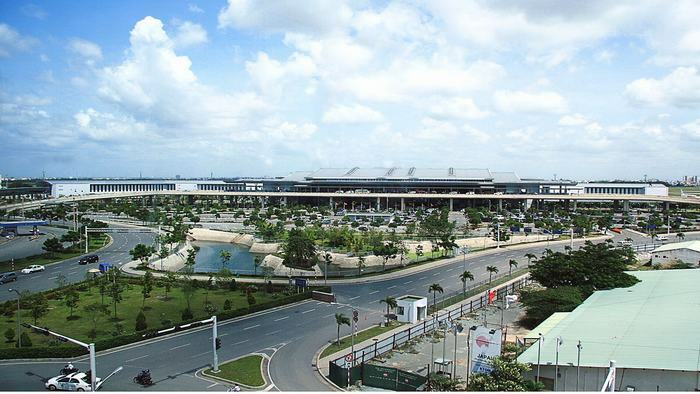 The distance between Tan Son Nhat International Airport and Phu Quoc Airport is about 310 kilometers, and you just take 60 minutes flying there. There are two most famous Vietnam airplane brands you can book a flight ticket to visit Phu Quoc, which are Vietnam Airlines and Vietjet. Traveling to Phu Quoc by plane, you can save a lot of time and energy, let’s make use of it to do more interesting activities in Phu Quoc. However, this is only the best option to move in the nice weather condition. The weather in the southern part of Vietnam is very unpredictable in the rainy season, there are some cases that the plane could not land on due to the bad weather that affected a lot on your emotion and schedule. If you would like to move to Phu Quoc by motorbike or private car, you have to drive on a 361-kilometer road to get to Ha Tien and then catch a boat to get to Phu Quoc. Departing from Ho Chi Minh city, you follow Phan Van Hon street to the Korean highway / national highway 1A then exit toward the direction of Tan Tao-Cho Dem. Turn right on Trung Luong highway, then turn left to the provincial road 829. Next, you go to Nguyen Van Tiep road and go straight provincial highway 844, turn right on highway 30, then turn left to ferry. Take the ferry to cross the river and then turn right on provincial road 954. Through Hau Giang ferry, you will come to Chau Doc city. Go straight to national highway 91. Finally, you turn right on highway 80 to Ha Tien town. This long journey takes about 8 hours to move. Although the way to travel to Phu Quoc from Ho Chi Minh city is quite long and ponderous, it is a nice experience for you to enjoy the peaceful beauty of Mekong river delta. After coming to Ha Tien, there are two options for you to get to Phu Quoc island, you can choose to step onto a speedboat or normal boat. It is better to catch a speedboat to move to save time, it only takes one and a half hour moving in the distance of 45 kilometers on the sea. Only visit the areas that have been exploited for tourism, absolutely not go to the forbidden forest or untapped places. Swimming is an activity not to be missed when coming to Phu Quoc, but do not go swimming at noon or soak in water for a long time, you will be very susceptible to sunstroke. To better navigate and avoid getting lost, you should buy a map of Phu Quoc. You can buy it at the airport, bookstore or the hotel. 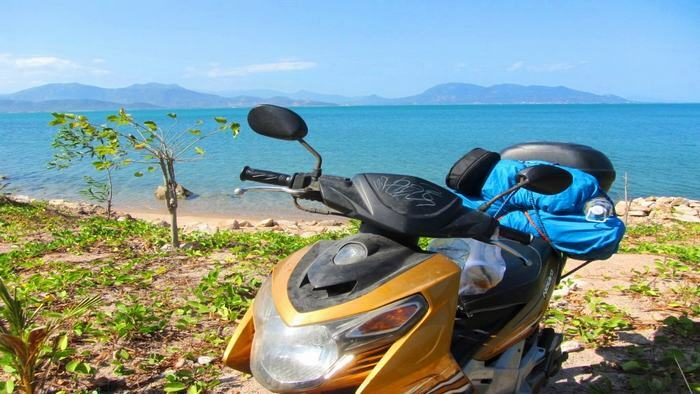 In case that you would like to rent a motorbike for excursions, before starting your journey, you should check gasoline because there are not many gas stations along the road in Phu Quoc. Not only that, you should keep your hotel phone number in case that you need the help if your motorbike is broken. If you intend to buy Phu Quoc pearls, you should check carefully to avoid buying fake goods, it is better to buy the pearls in reputable stores. Phu Quoc in the mind of many people is a beautiful jewel, a tourist paradise in the dream that many people have to get there. The warm-hearted welcome of Phu Quoc is hard to deny, so let’s take your backpack to visit this beautiful island. If you have any questions about the way to get to Phu Quoc, feel free to contact us. Thank you!